Football fans! Decorate your computer with this wonderful laptop sticker, paying tribute to one of the greatest stadiums in world football - The Camp Nou! 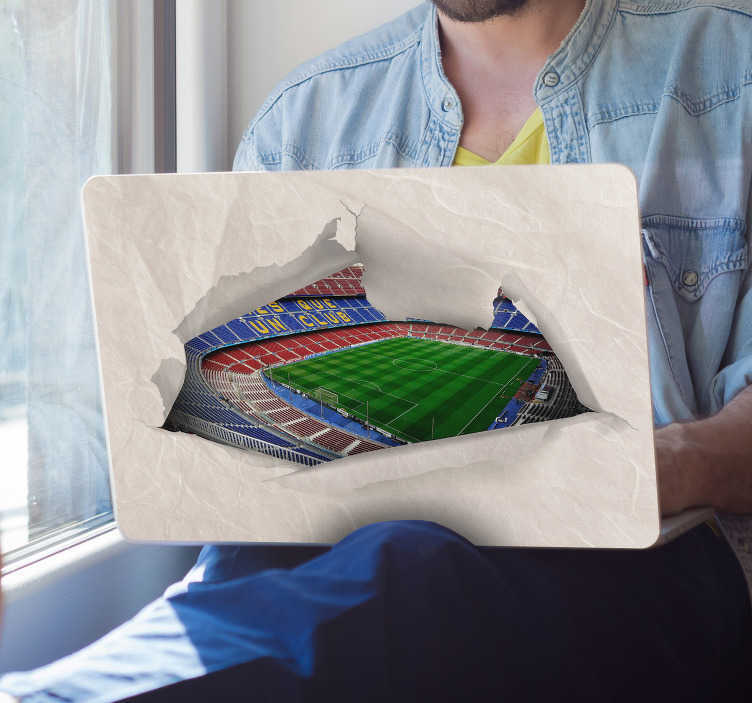 A stunning visual effects laptop sticker which makes a perfect sports decal for all those who are head over heels in love with la Blaugrana! Allows you to make it look as though your laptop is genuinely a pathway to a stunning football stadium!